Envelope opener to help reuse envelopes. 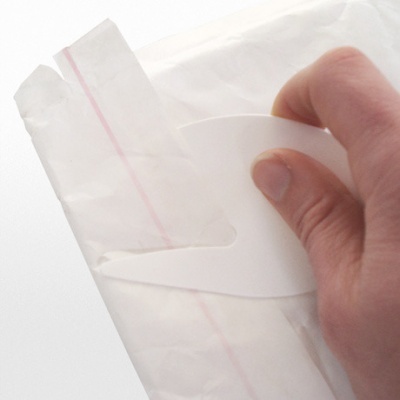 Envelope opener to help reuse envelopes. Made from 100% recycled plastic. 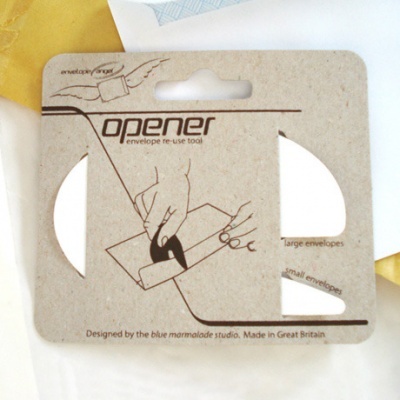 This nifty Envelope Angel opener helps you slice through that gum seal leaving the envelope ready for another outing! This can't be used on really heavy duty gum seals but works on most envelopes I have tried.
. Water based eco printing on the packaging.
. Zero landfill waste created during production.
. Packaging can be composted or recycled.
. Designed and made in Britain for a low carbon footprint. The production of the packaging, product and assembly is all done with in a 80 mile radius to reduce the products carbon footprint.
. Recycled and recyclable materials give respite to the planet.